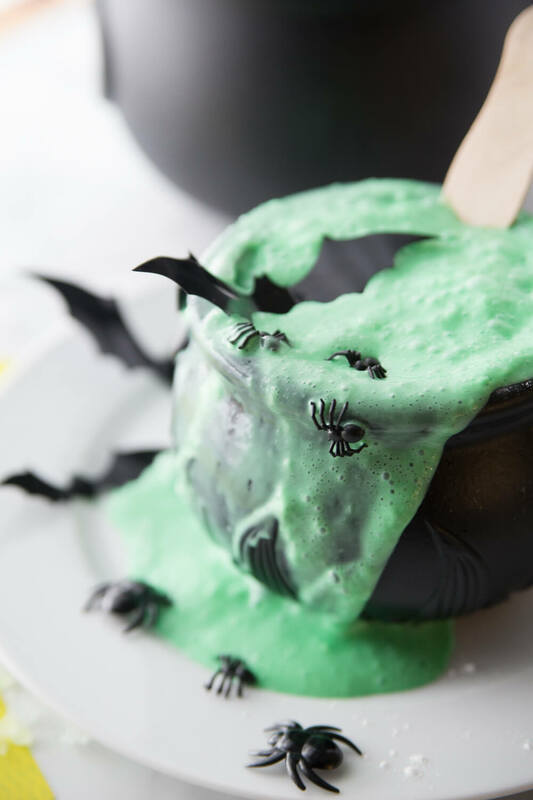 The evil witches of Hocus Pocus would easily love this bubbling Halloween slime recipe! 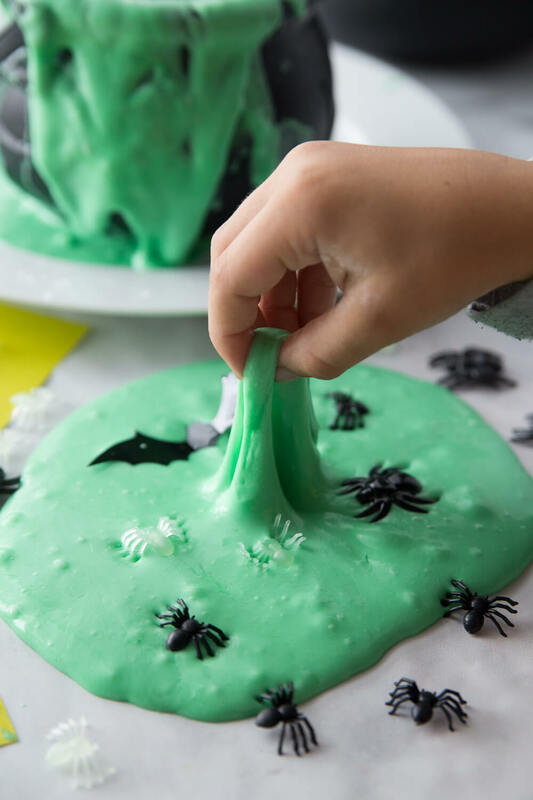 If you are looking for a spooky good time with a family friendly movie theme, our bubbling, fizzing, erupting cauldron of oozing slime is perfect! 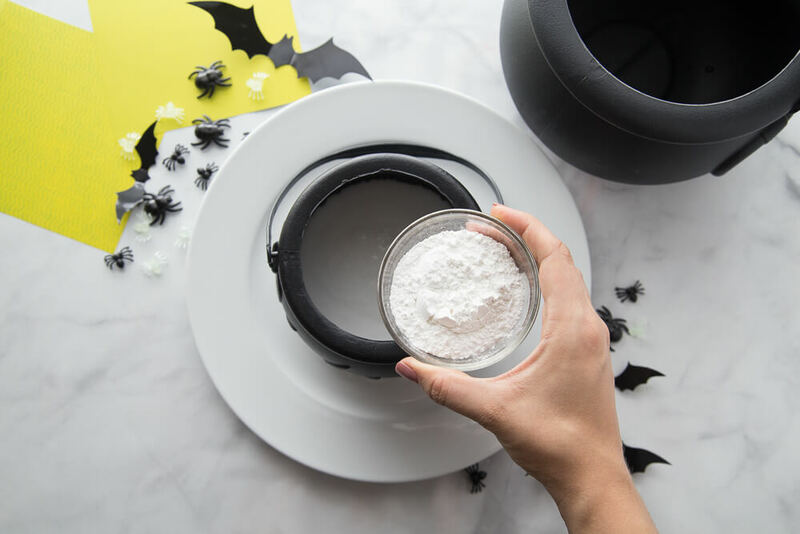 This incredible homemade slime recipe is easy to make and a hit with the kiddos any time of the year, but who doesn’t want to mix up spell binding potions once in a while. 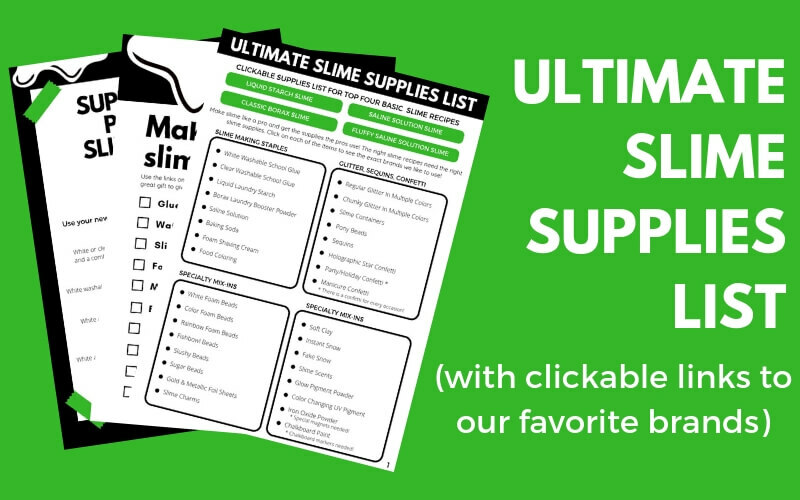 You will be taking Halloween slime making to a whole new level of slimy awesome-ness! You are definitely going to want a cookie tray to catch this bubbling and fizzing “potion”. Hands down, this is the best slime making fun we have had together. Why is that? Because we love anything that fizzes, bubbles, and erupts. This bubbling slime has the definite oooh and aaah factor, but is also super easy to set up. A little messy, this bubbling Halloween slime is going to be a big HIT this season. Turn on the movie Hocus Pocus and get set to for your own witch’s or wizard’s brewing station. You choose the colors and creepy crawlies. 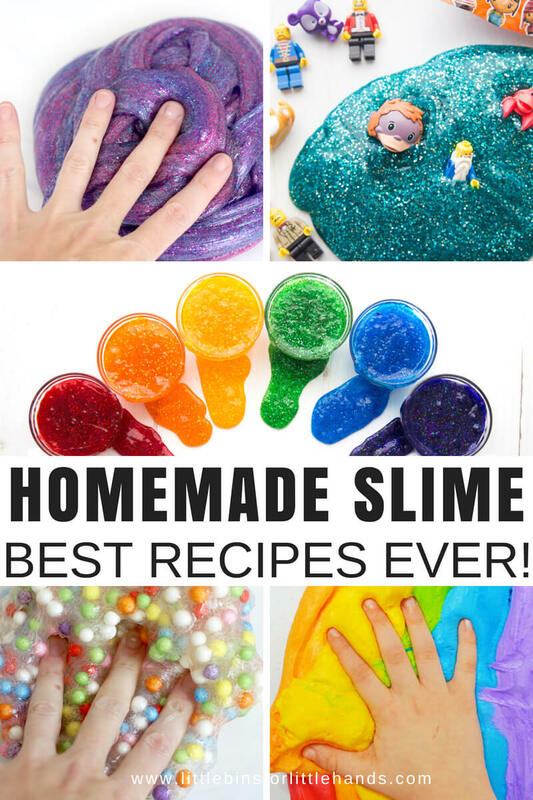 The recipe instructions and mixing are different then all our other slimes, so I recommend you read through the directions, tips, and tricks before you get started. As always the right slime ingredients paired with the BEST slime recipes is key! Note: The slime that is produced is fun and stretchy but definitely is not as high quality as our original slime recipe. Of course, making the bubbling, fizzing slime is half the fun. If you want a super awesome stretchy slime without a volcano, check out the original saline slime recipe here. Of course there is an additional science experiment going on here which is the chemical reaction between the baking soda and the vinegar. When the acid and base mix together, they produce a gas called carbon dioxide. This is seen in the fizzing bubbling eruption that takes place when you stir the slime! Continue to explore states of matter too! When looking for a good container for your fizzing slime volcano, find something that is on the taller side but with a wide enough opening to allow you to easily mix the slime as well. The nature of a baking soda and vinegar volcano is that the gas produced during the reaction pushes up and out. A taller and narrower container will yield a better eruption compared to a wider and shorter container. 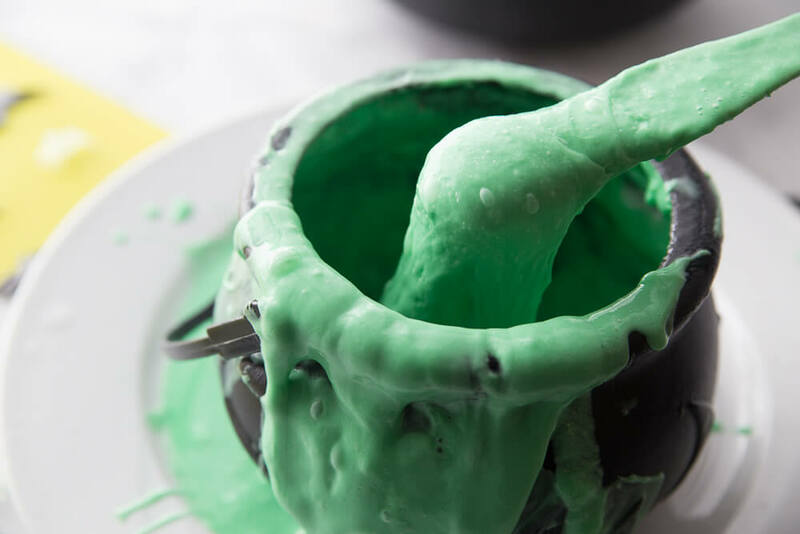 We chose a small black 5″ cauldron for the theme of the slime! Go ahead and get witch-y! Throw in all sorts of creepy crawlies! 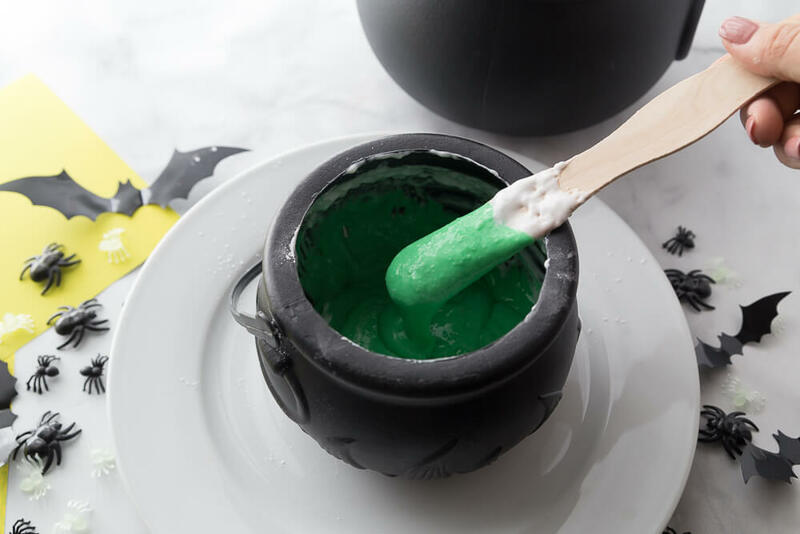 STEP 2: For our bubbling Halloween slime we used green food coloring. Orange and purple would be fun too! Go ahead and play with your bubbling slime! 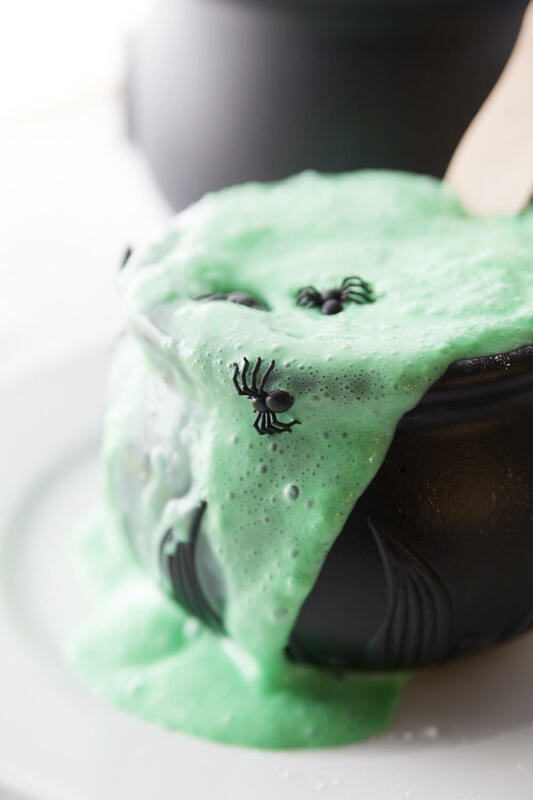 As I mentioned above, the slime that is created along with the bubbling Halloween cauldron is not necessarily something that will save for weeks. We found it got a bit watery and not as nice the next day. BUBBLING HALLOWEEN SLIME FOR AN AMAZING SCIENCE ACTIVITY! 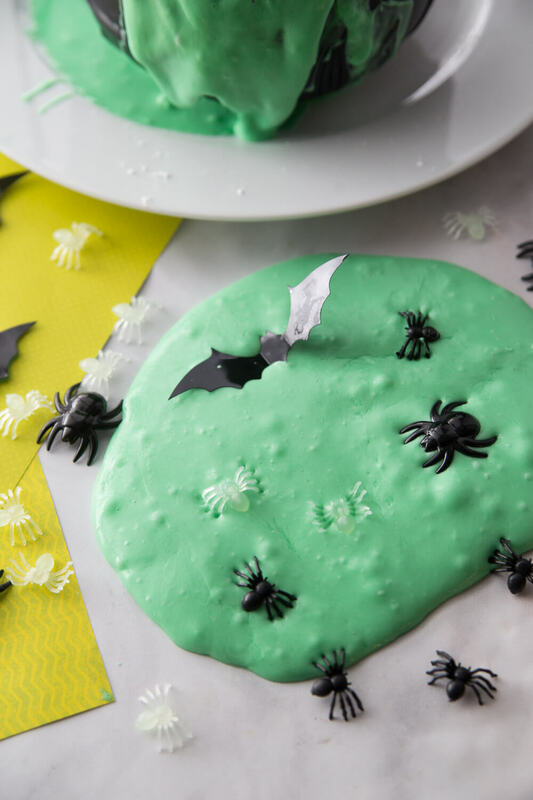 Check out even more amazing Halloween slime recipe ideas.